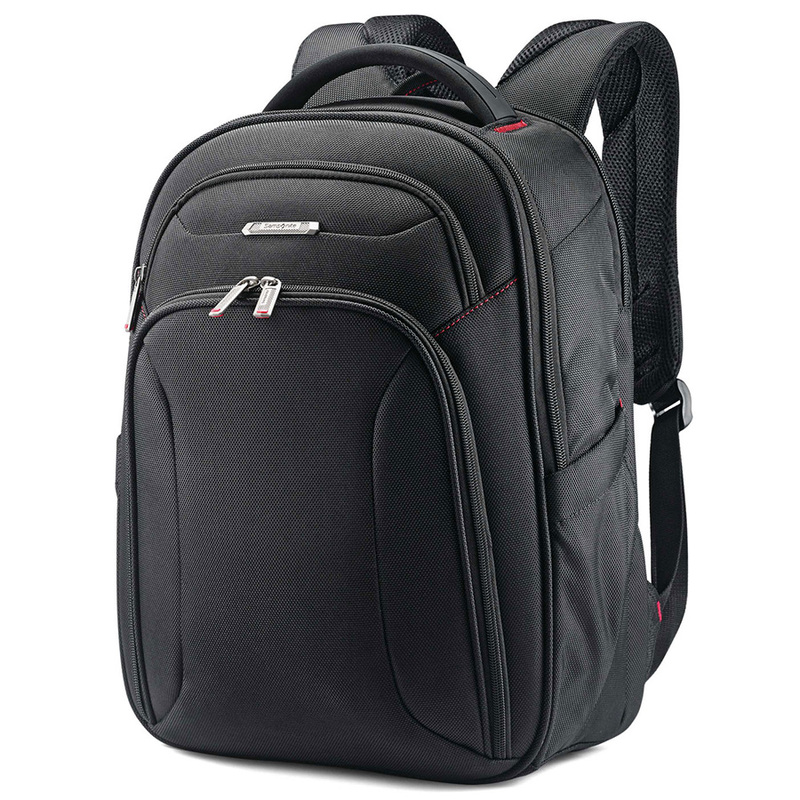 The Samsonite Xenon 3.0 Slim is a rugged business backpack that covers all of the basics while still being stylish and sophisticated enough to wear to the office. 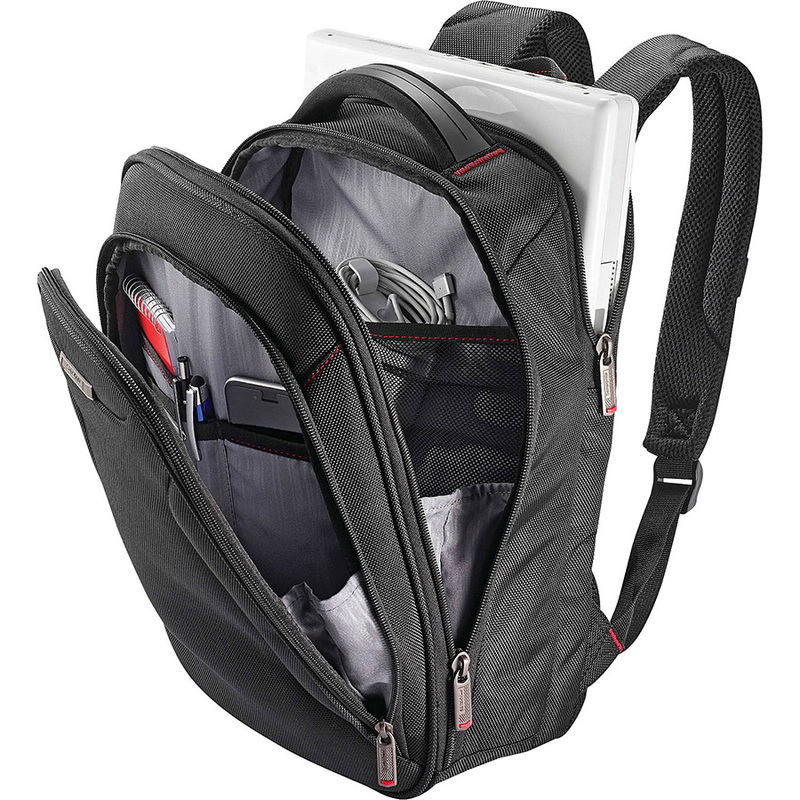 The Xenon 3.0 Slim can be split up into 3 main sections; the padded laptop compartment, a main compartment with mesh pockets for accessories and a full panel organizer on the front. 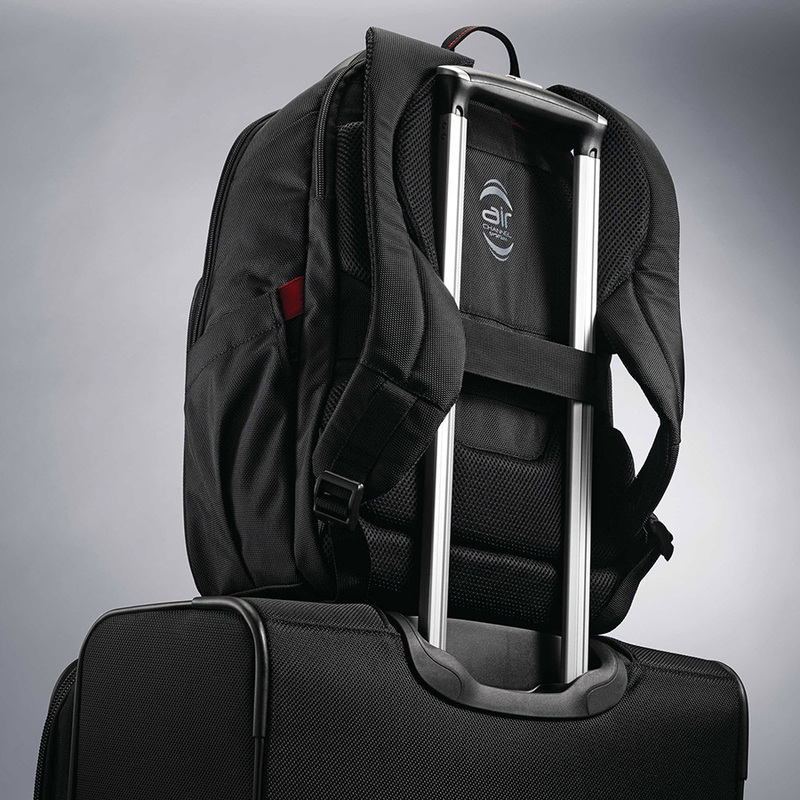 Samsonite offers the Xenon is a variety of sizes; the Xenon Slim as seen here, the larger Samsonite Xenon 3.0 Large and the more petite Samsonite Xenon 3.0 Small. Stylish and slim profile is sophisticated enough to wear to the office or on business trips. Front organizers and pockets inside main compartment are great for storing tech accessories such as cables and chargers. Great carry-on or airline personal item backpack. Small enough to fit underneath most airline seats. Little padding on the bottom of the backpack to protect laptop from falls and bumps. Thicker 15-inch laptops (such as gaming laptops or older models) may have issues fitting in the laptop compartment.